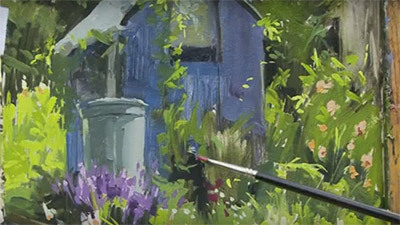 I’ve always admired Jenny Wheatley’s highly individual watercolours, so I was very pleased to have the opportunity to explore her methods in her film, Adventurous Watercolours. 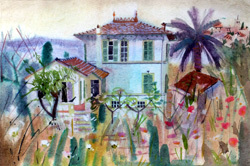 Working in Vence, the home of the Matisse Chapel in the south of France, Jenny starts by painting an attractive house, seen above a mass of wild flowers. Surprisingly, she uses a ruler, but this is balanced by the enormous freedom with which she adds colour, washing it freely over her soft Indian paper to develop a rich patchwork along with decorative mark making, which harks back to her training as a printmaker. 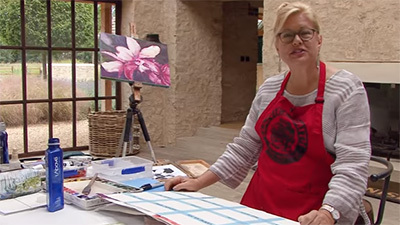 She then moves to paint the hillside village of Gattières where she speaks about her fascination with the work of Auguste Macke and Paul Klee. As in their work, there is a rhythmic quality to her painting and a great warmth of colour. 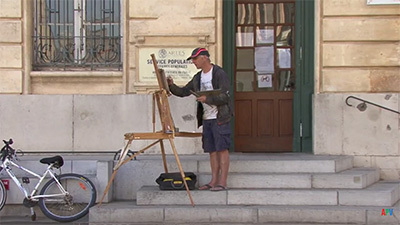 A further architectural study completes her work in France before she heads back home to work up larger paintings in her studio. Jenny mixes up her paint herself, from pigment, gum arabic and sterilised water. 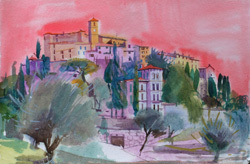 She first works on a large composition featuring one of the Vence buildings, pouring on colour in a manner that looks, deceptively, arbitrary. She is fully in control, however, and after adding a few details to the broader shapes she lays on strips of toilet paper to cover the surface. A roller is then pressed over the tissue to lift off some of the colour and add texture. Returning to the painting later, she fully dampens it in a bath and washes more pigment over the surface. She is really quite physical with it, and as she washes on a particularly strong pigment, you think the painting is lost. Amazingly, you then watch the image find its way out of the paper, and the final result is a triumph. The last painting combines elements from the room she stayed in in Vence, objects around her studio, and furniture from the Matisse museum. Creating a typically quirky Matissian composition, she paints a view through a window that plays around with perspective and pattern. 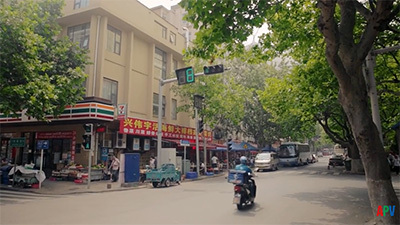 This is a highly engaging film that provides insight into Jenny’s unconventional methods of working that should encourage viewers to become a bit braver. Jenny Wheatley is well known for her wonderful, colourful and exciting watercolours, which are often inspired by characterful buildings. 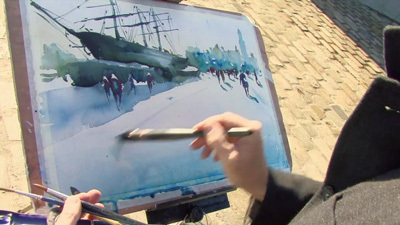 Adventurous Watercolours is a masterclass in working on site in watercolour, as well as in showing how to experience, assess and note down what is important about a subject. We are encouraged not to stray from our initial resolve for the work, to rely on sound drawings as the scaffold for the painting, and not to be afraid to work freely with colour and to experiment. 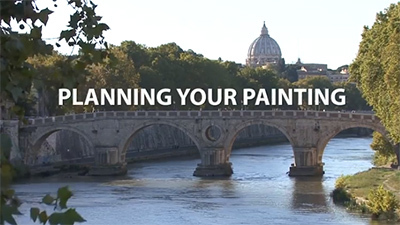 Jenny travels to the south of France where she amasses a superb collection of reference drawings, paintings and photographs, as well as some finished paintings. Back in her studio in Cornwall, Jenny works on two paintings inspired by the reference material she has brought back. I am a ceramacist trying hard to learn how to work in watercolour when doing research for my work. I bought the book and thoroughly enjoyed it. I know the DVD will be an inspired buy too!! I wasn`t disappointed with this film. 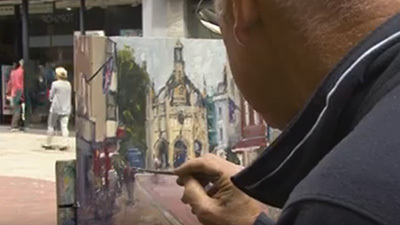 It shows the amount of time, effort and thought that go into making her colourful paintings. 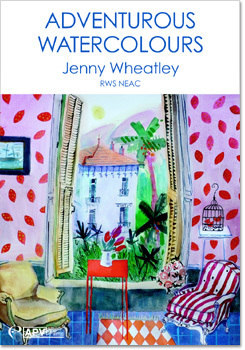 I didn`t realise that Jenny Wheatley had a background in printmaking until watching this film, although considering the importance of pattern and mark-making in her work, I can see the influence coming through. Thoroughly enjoyable, showing information gathering in sketchbooks, painting on location and larger pieces based on these in her studio, which was particularly interesting.